Amsterdam’s Reaktor Events are bringing their world famous heavy techno sound to London for a very special one off event on Saturday December 29th. 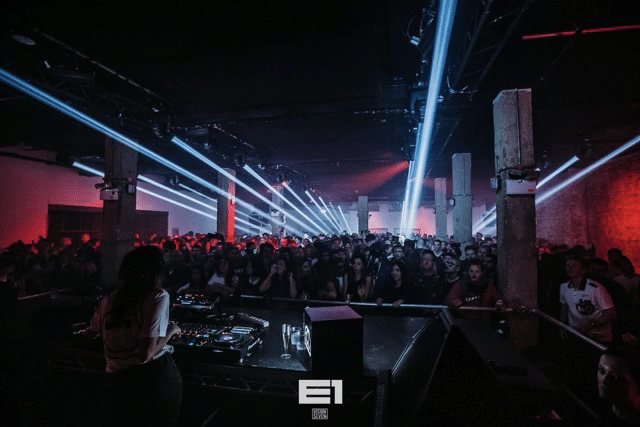 It takes place at E1, one of the UK’s most essential warehouse spaces, with two rooms of proper techno featuring key names like O/V/R Live (aka James Ruskin & Regis), plus exciting UK debut shows from Neon Chambers LIVE (aka Sigha & Kangding Ray) and The Lotus Eaters LIVE (aka Lucy & Rrose), as well as Oscar Mulero, Freddy K, Killawatt, Shifted, Abstract Division and Antonio De Angelis. Reaktor Events have been doing techno and club production properly for six years now. They offer an unapologetic, visceral sound tinged with industrialism and featuring the biggest names in the scene from James Ruskin to DVS1 to Paula Temple. Always forward thinking and acclaimed for their events around The Netherlands, this dark, no holds barred techno night is one of the most admired in the underground and their impactful ADE nights and groundbreaking concepts like Unpolished and Katharsis are right at the vanguard of the genre. Next to the immersive techno soundtrack at this exclusive London party, you can expect world class production and awe-inspiring visuals that will make it an even more powerful and inedible experience in the hallowed walls of E1. It boasts a killer sound system and is a club known for really taking the sonic details seriously, as well as being a perfectly raw and atmospheric space in which to experience high impact techno at its finest. Only the most cutting edges artists will play this event, with live shows from O/V/R aka the long standing techno figureheads James Ruskin and Regis, who between them have very much defined the gene over the years, plus a first UK show from Neon Chambers (aka bewitching Token artist Sigha and Raster Notion’s Kangding Ray) who will also bring with them a huge lighting installation, and The Lotus Eaters (aka Stroboscopic Artefacts boss Lucy and key label artist Rrose). On top of that are esteemed Frenchman Freddy K and Killawatt. The Black Studio is hosted by Dynamic Reflection with special guest Oscar Mulero, a Spanish titan of deep techno who this year released his latest essential artist album on Semantica, plus Berlin based Shifted, who makes moody and atmospheric techno, and Abstract Division and Antonio De Angelis, who between them cover all the darkest and most serious techno styles. All in all, this is a one time only chance to catch one of the most essential techno brands in all of Europe come and bring their fully realised, expertly detailed event to one of London’s most revered spaces. Do not miss.